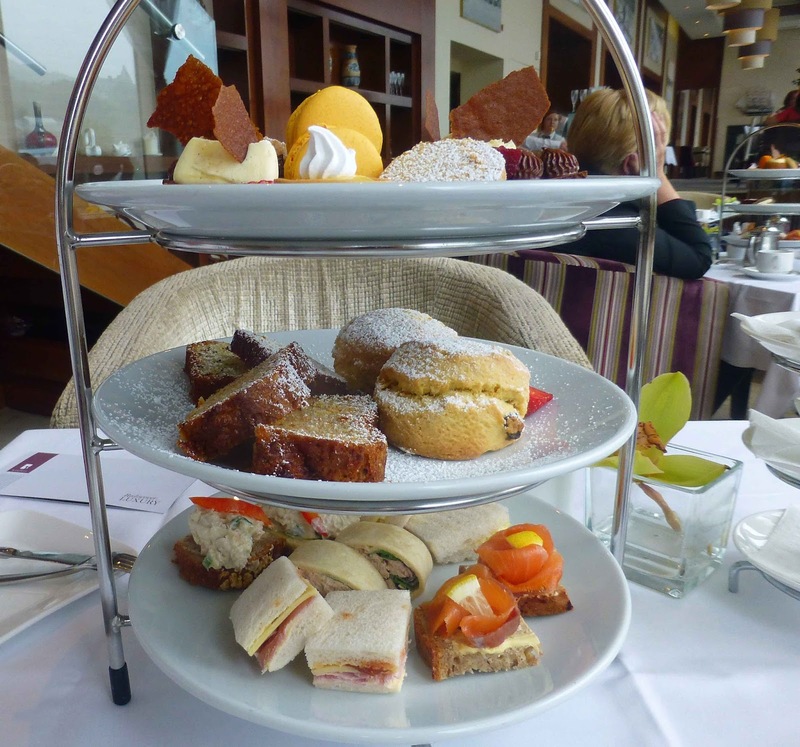 The Montenotte Hotel have been offering an Afternoon Tea treat for the past two years. 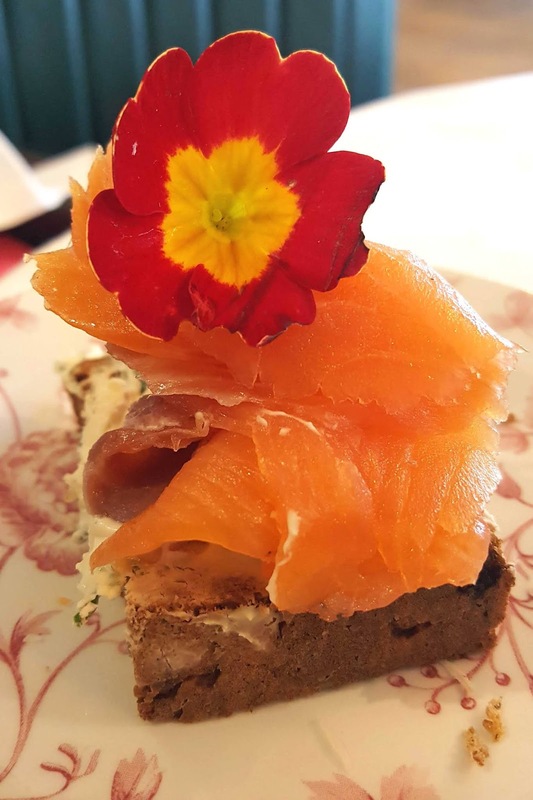 They had a rather special February offering, both an acknowledgement of the food bounty of the county and a tribute to the local Cork Chamber who are celebrating 200 years. 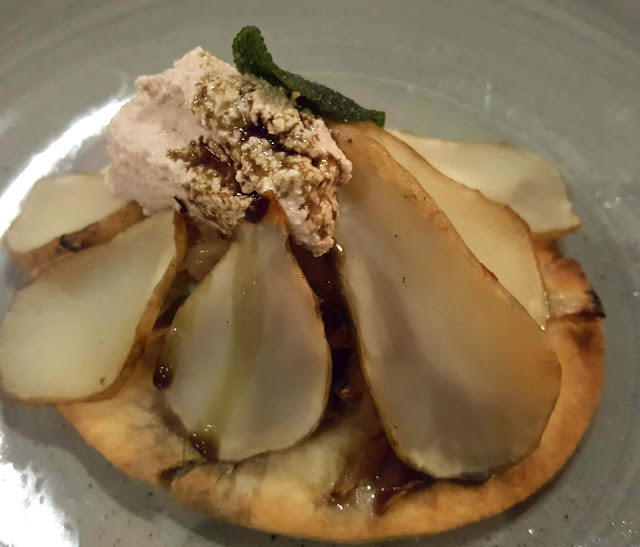 The menu included local delicacies from Milleens cheese and Gubbeen chorizo bites to Tanora paté de fruit and Toonsbridge Ricotta cake. The offering followed traditional lines, moving from the savoury to the sweet. There were sandwich style bites with Ardsallagh and Milleens cheeses, followed by Cork Gin Trifle, Murphy’s Stout (the cream!) 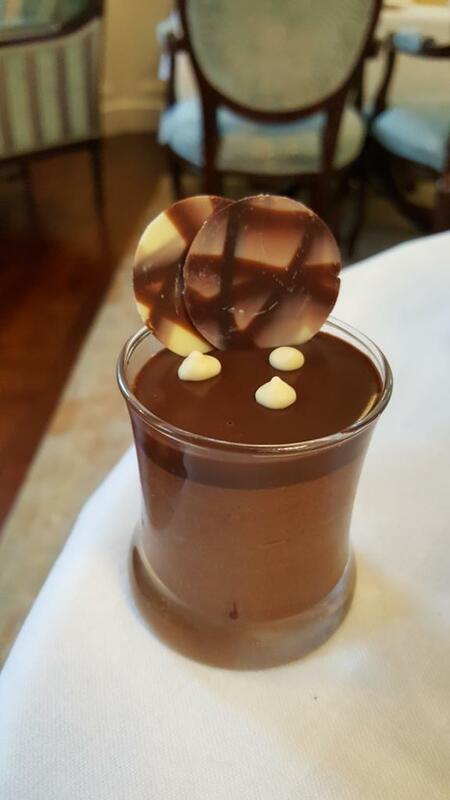 Chocolate Tart, Barry’s Tea Crême Brulée and the sweetest of finishes featuring Tanora Paté de Fruit and Midleton Rare Whiskey Fudge. You’ll take your Afternoon Tea in the Panorama Bistro and Terrace which overlooks the river and the city. Of course, the mix of bites will change from time to time and in line with the seasons but it is always quite an occasion. So do take it easy, enjoy the food, the company and the view. Maybe treat yourself to an upgrade with a glass or two of Prosecco or Champagne. We didn't have the bests of days when we took up the invitation to try it out last Friday - it lashed outside. But we were warm and comfortable inside as we started on the lower tier with those very tasty Finger Sandwiches. Tier 2 had the Selection of Mini Pastries including their macaron and delicious scone with jam and cream. The highlight was, of course, the top level, with all kinds of sweet things, even strawberries slices and cream and also those outstanding Handmade Truffles (with a drop or two of whiskey in the mix!). No shortage of tea, of course, or coffee if you prefer. 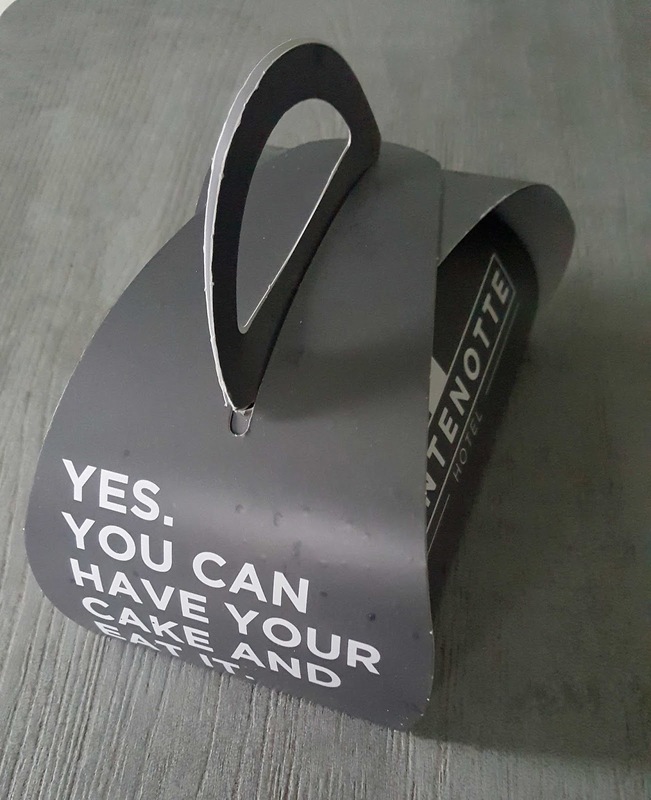 And if you have too much - it’s entirely possible - the Montenotte are well prepared for that too. 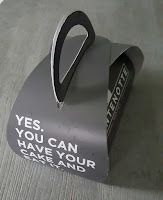 They have a lovely carry-box so that you can take any of the goodies home with you. This is an occasion where you can truly have your cake and eat it (later, if you like!). By the way, I had an evening meal in the restaurant here a few months back. It's well worth checking out. Details here. 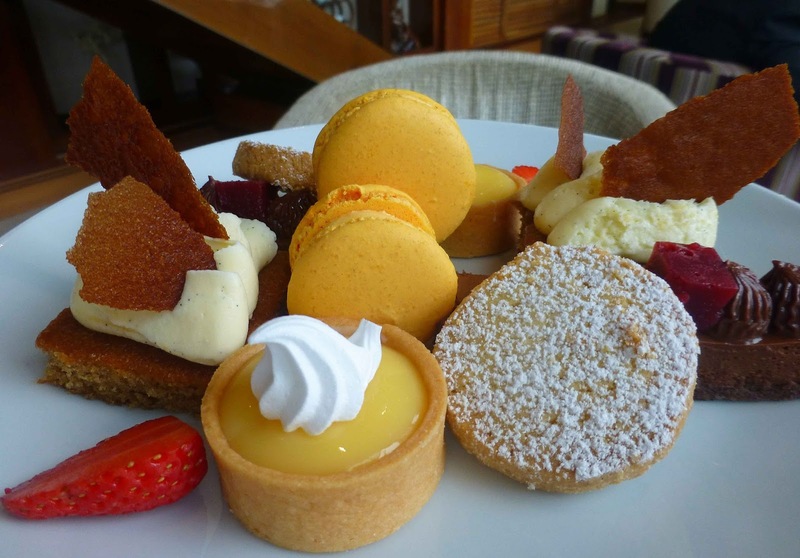 Cold and wet outside but in the Drawing Room of the Maryborough Hotel, there was a warm welcome to Afternoon Tea. 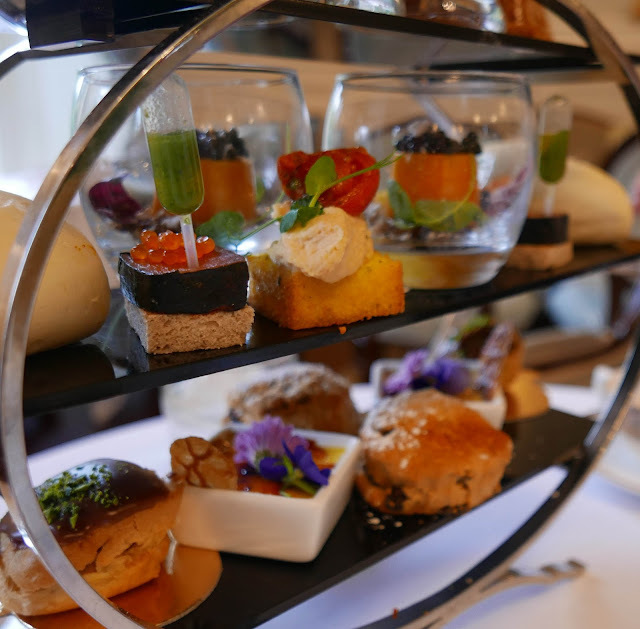 The hotel’s dedicated afternoon tea room was opened earlier this month and you do get one of the best experience around in a beautifully appointed room, part of the Newenham suite, in the original 17th century house. The old world charm has been retained and you’ll relax under the high ceiling and take in the Georgian décor with plush lounge seating, listening to baroque (rather than rock) and, when you’re ready, let your concentration focus on the three tiers of deliciousness that the butler has just delivered to the table. Tea, of course, is an integral part of the event and you’ll have been helped make your choice from an impressive list of over a dozen, including well known ones such as Earl Grey, “safe” choices like Irish Breakfast, and the exotic Bi Lo Chun. In all, I tried three and my favourite was the Rooibos & Caramel (Relaxing - Full-bodied Rooibos sweetened with the delicate, sensual notes of caramel deliver a nicely rounded, sweet and mellow finish). Could be a great one for Christmas. CL”s favourite was Ginger & Lemongrass (Uplifting - Green Tea from China with spicy ginger and the fresh delicate citrus notes of asian lemongrass). I hadn't heard of the Bi Lo Chun before. Maybe you haven't either? Its description is: Boasting a stunning sweet, slightly fruity and floral taste with a delicious lingering finish. There is also a full list of coffee options, from Espresso to Cappuccino. I think Hot Chocolate was also mentioned. We were guests for the occasion. Thirty five euro is the regular cost; add Prosecco (€43.00), Champagne (50.00). The savoury offerings looked great and tasted even better, a very strong line-up indeed, quite innovative too. This was our running order. I enjoyed them all and would be hard-pressed to find a winner, other than myself! Indeed, I was most surprised with the #3 and #4 as I didn't think they'd be as good as they were. The second half was sweet indeed. All the items were excellent and again hard to pick a winner. The Crème Brûlée was a joint favourite. But when we finished up with the Grand Marnier Trifle, the heads were nodding in agreement that this was the one, thanks mainly to the fact that there was no shortage of the orange-flavoured Cognac based liqueur in the trifle sponge! Cold and wet outside but warm inside as we left. 1: Boa Bun filled with a Turmeric and Fermented Chilli Marinated Chicken, Carrot Slaw, Miso Aioli. 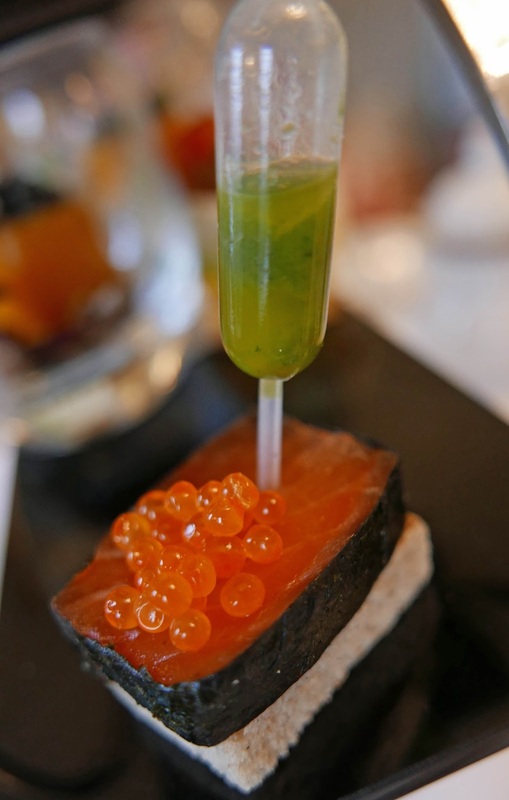 2: House Cured Salmon, Wakame Seaweed, Cucumber Gel, Squid Ink Emulsion, and Toasted Rye Bread. 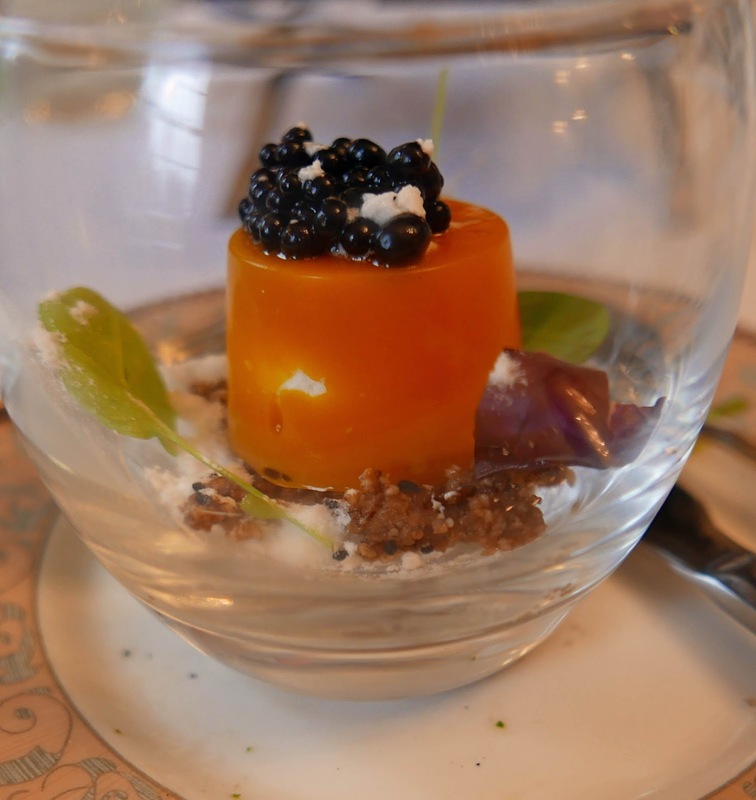 3: Butternut Squash Pannacotta filled with West Cork Bluebell Falls Goat Cheese, Honey-ied Walnut, and Balsamic Pearls. A: Caramelised Apple, Coffee and Cinnamon Cake. B: Chocolate and Grand Marnier Trifle. 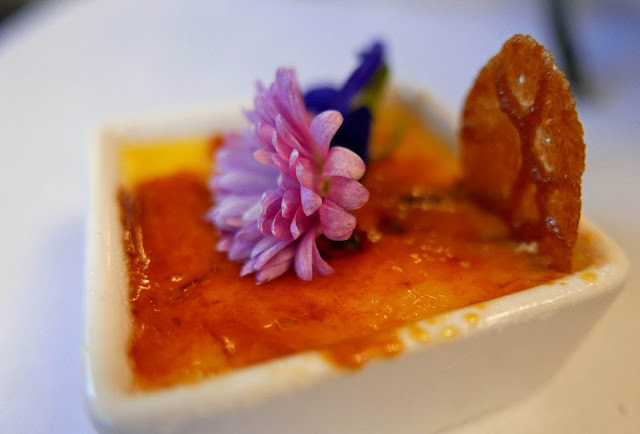 C: Chestnut and Pear Crème Brulée. D: Eclair filled with Pistachio and Hazelnut Praline. E: Warm Cranberry Scones served with House Preserves and Clotted Cream. We arrive at the K Lounge in the Kingsley Hotel just as a busy lunch service is starting to wind down. But we are far from the first arrivals for their “classic Afternoon Tea”. A little bit of luck has brought us here. 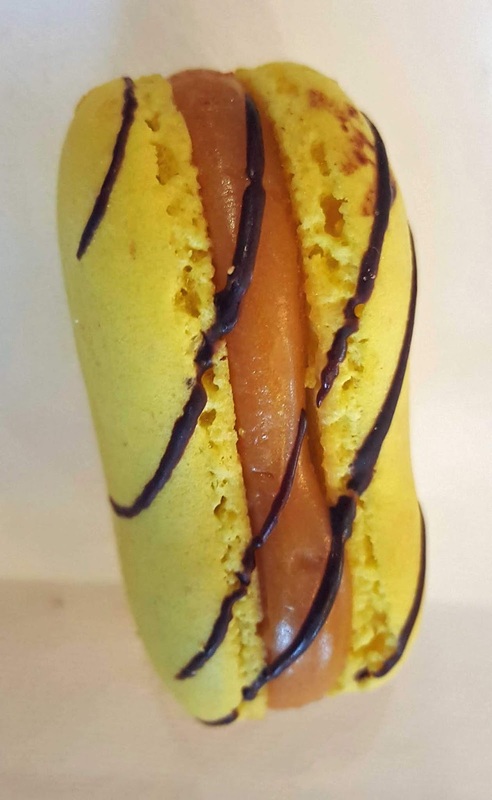 Back at the Cork Summer Show, we bought a lovely snack at the Kingsley stand and filled up a coupon and that very coupon was the lucky one, earning the two of us this gorgeous and rather well balanced treat. We started off with the savoury pieces, off the bottom of three tiered plates. These included Egg and Mayonnaise sandwiches, a very tasty Cheese, Ham, and Relish sandwich, a Tuna wrap and Smoked Salmon on brown bread. Had begun with tea and continued with it as we moved to the middle plate. 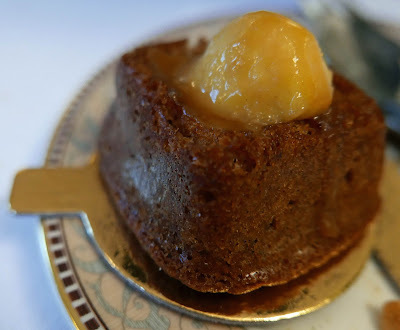 Here we had superb Scones, a delicious Carrot Cake and their own sweet Tea Cake. Lovely stuff and time now for a pause in the very comfortable chairs as we switched from tea to coffee for the final part of the treat and took in the view of the river flowing by outside. Indeed, we might well have been outside had the weather been as hot as it had been a few days earlier. So now, so sweet! 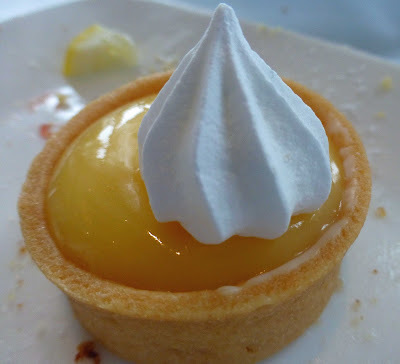 I started with the Lemon Meringue and finished with the chocolate mousse. 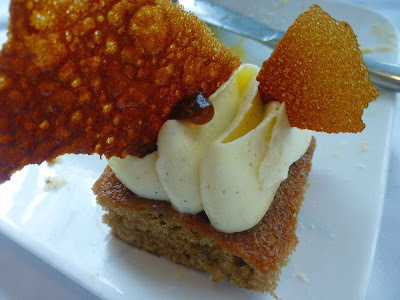 In between, the pleasure was uninterrupted as I introduced my palate to Shortbread biscuit, Orange Macaroon and Coffee Cake (perhaps my favorite). All Afternoon Teas here are served with home-made jam, Kerry butter and whipped cream. 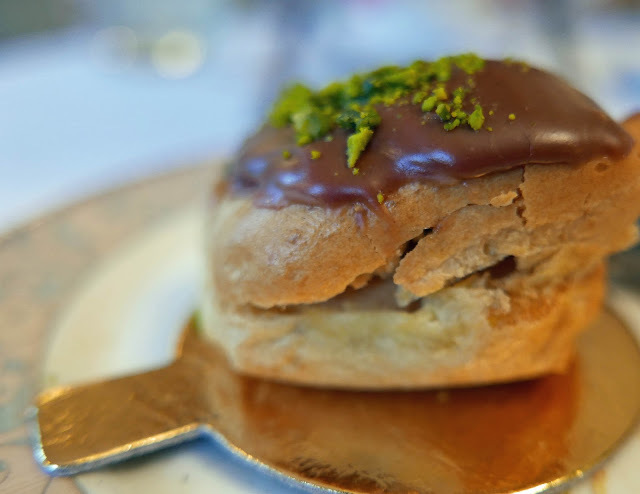 And the menu changes and might include some scrumptious raspberry tartlets and coffee and chocolate opera cakes; a selection of freshly baked plain and fruit scones; smoked salmon and capers mille-feuille and goat cheese and sun blush tomato tartlet. 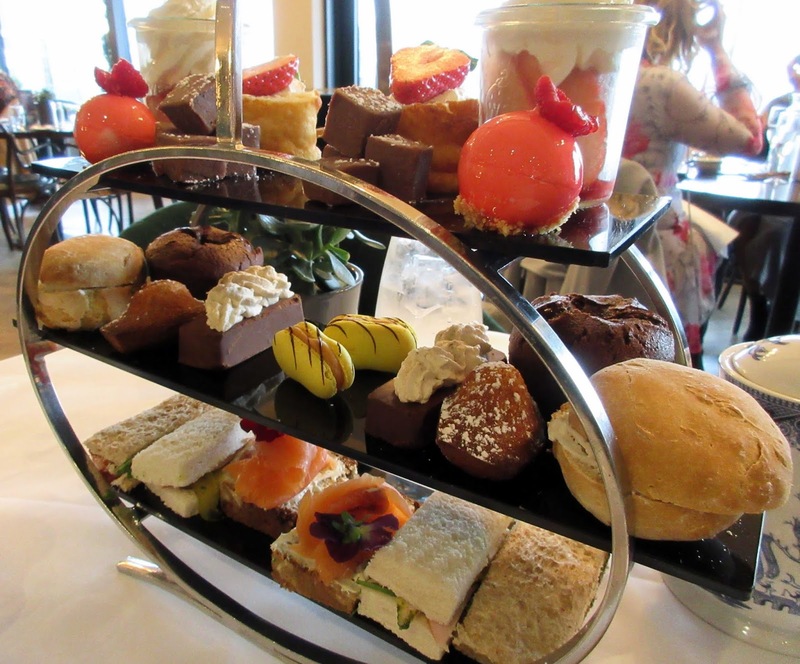 And there is also a Gluten Free Afternoon Tea option available. Much as we enjoyed our visit, I wouldn't be taking Afternoon Tea every day. Indeed, next time, I could well go for the lunch as that menu continues to be available until 5.00pm. Some tempting items listed, among them Crispy Skeaghanore Duck Breast Salad and a very impressive list of Munster Farmhouse cheeses featuring favourites such as Cashel Blue, Gubbeen Smoked, Milleens, Coolea and Cooleeny. The K Lounge, by the way, is just one of a number of dining options here.